If you want a step by step, day by day structured protocol to go by, this is an excellent guide indeed. “Mike” (his real name is Hayim Oshky) even gives a detailed breakdown of what to eat per hour in an easy to follow sample planner which I thought was absolutely terrific for those just wanting a simple ‘do this, then that’ kind of guide. His potions for cleansing the liver and gall bladder while strong to take at first, are highly effective and I can attest to the fact they work. You will see evidence of it when you go to the bathroom by way of pebble shaped stones and whatever else your body decides to purge. He has an extensive list of impressive testimonials throughout his site complete with before and after pictures of folks who achieved excellent results implementing his program so it has definitely helped many. His thorough explanations of food groups and how exactly they affect your skin made it so much easier for me to give those foods up. Just knowing a certain process occurs that harms you when eating certain foods was enough motivation for me to replace those foods with alternatives. While the book is focused on diet, he also covers the critical element of opening up the other channels of elimination like sweating through the skin and de-stressing which has a much larger impact on the skin than we are led to believe. He explains why a certain food purifies and nourishes the skin, then he shows you exactly how to incorporate that food into your daily plans. Incorporating this multi faceted approach is something I really liked particularly for those who have the more advanced acne. Hayim’s research has led him to different conclusions than mine which I fully understand and respect…if it was based on established facts. There are a number of things in the book which are simply not true like his recommendation to avoid fruit. This is quite frankly, nonsense. As I’ve stated repeatedly on this site and will continue doing so until I die, fresh, ripe (very important) fruit doesn’t and never will “cause” anything; it exposes your weaknesses. The second thing that left me scratching my head is his recommendations of kefir and various animal products. This is about the worst thing you can do for your body and skin. Dairy products are notorious for making acne worse and clogging you up with their mucous inducing qualities leaving you congested and laboring. Finally, the supplements he recommends in my opinion are totally useless and not needed. Why would one need supplements when they can get their nutrition from whole, fresh foods that are brimming with essential vitamins, minerals and phytonutrients? And anyway, if you are internally congested and you’re not absorbing your nutrients well, how is taking supplements going to help? Just a big NO for me. If someone wants to infuse their body with concentrated, healthful phytonutrients, then I’d recommend something like Organifi green juice. So whilst I don’t agree with every single idea in the book, it doesn’t detract from it’s overall effectiveness in showing you how to rid yourself of acne because the bulk of information contained in it is quite good. Just set aside the three main errors in the book outlined above and it will be a handy resource for you. At the end of the day, results are what you want and he appears to get them from many clients. This book was what led me to personally greatly improve my skin and ultimately, set me on my own path of holistic healing research. It’s over 200 pages of material so it’s a lot to absorb. Read 1-3 chapters or so a day, internalize it, put it into practice and proceed. Just ignore the no fruit thing, supplements and consumption of animal products and you will greatly enhance the effectiveness of the program. Don’t try to read it cover to cover in one sitting and forget most of it by lunchtime then say “ugh it doesn’t work!”. VERY IMPORTANT: His methods are 100% natural and like I’ve mentioned on this site, when you stir up a lot of internal congestion and waste, things get worse before they start getting better. So YES – you may get worse breakouts, rashes and pain initially but that’s simply because the body has to eliminate them. Don’t confuse this with “the program is causing it” – no, the program is undoing what you caused :-). So be patient and let the body do it’s work. 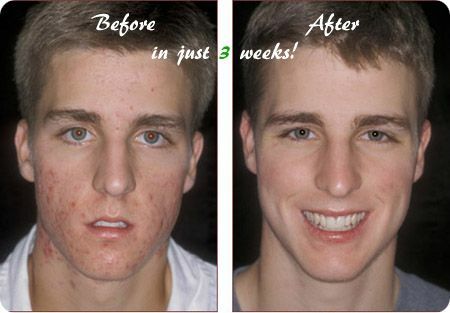 It took decades for your acne to plague you so you’re not going to get rid of it in hours or days. So how long will it take? Each person is different depending on their internal environment. If you’re relatively clean and just have a few bothersome areas, it may take only a few days/weeks while others who are really backed up could take many months or longer. 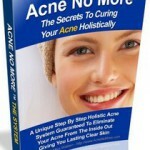 Understand however that this is the only true way of healing your acne permanently. It takes longer yes but it addresses acne at the source instead of just suppressing it with chemicals, only for it to roar back with a vengeance. 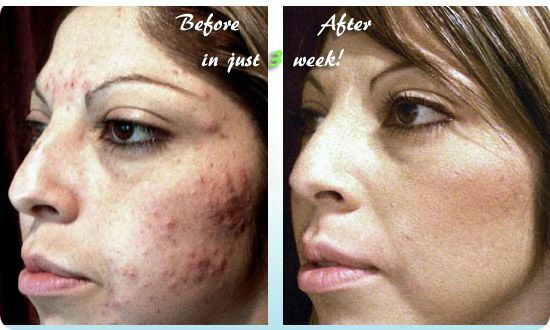 So do you have to have Acne No More for success? No, but it certainly is a great advantage because above all – it shows you exactly what you need to do on a day by day basis to get results and ultimately, it works well. Hayim is very good at responding to e-mails promptly and I say that because I’ve dealt with him before. On top of that, he makes a very generous free offer with his book that you would pay thousands – MANY thousands of dollars to a medical doctor if they offered the same service and of course, they generally wouldn’t know how to permanently heal you. Overall, I found the book to be well researched (aside from those three major mistakes), presented and above all – super easy to follow and implement. The planners are both simple to understand and effective. It’s not without it’s faults of course and I’ve detailed them here so you know what you’re getting. 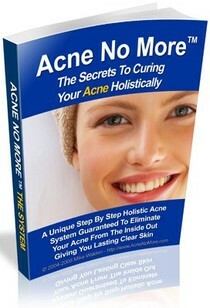 Acne No More is well worth checking out.